anyone keen 2 head to the snow between the 10th and 27th of july???????? Hell yeah, i will prob b there most of that time, even after we are back at uni i will be keen. anyone keen to go to queenstown sometime next semester? Prob during the 2 week holiday. Muzzy wrote: anyone keen 2 head to the snow between the 10th and 27th of july???????? Im offended that you even have to ask! looks like it should be open by then. its meant to open on the 30th june, so should be. I rekon we should head down in the last week of the holidays, maybe like the 11th to 15th or so. O and we also have to hit up vegas at some stage. 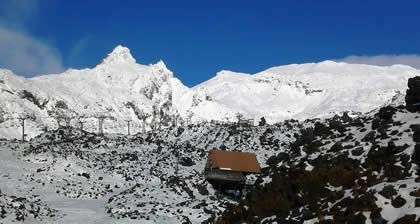 Whakapapa today. Apparently it is supposed to snow all week. it looks like you guys have been busy studying today i will be real keen to go down on the 12th (got a thing to go to on the 11th) May even want to go for a day or so before that. Oh and we have an average snow depth of 40cm at turoa. Stampy wrote: it looks like you guys have been busy studying today i will be real keen to go down on the 12th (got a thing to go to on the 11th) May even want to go for a day or so before that. Oh and we have an average snow depth of 40cm at turoa. wop wop ment to be heading down to Whaka on the 26th on june, but depends if there is enough snow, hmmm. Cant wait tho, gonna be sweet. keeweenz wrote: wop wop ment to be heading down to Whaka on the 26th on june, but depends if there is enough snow, hmmm. It will be sweet by then big guy! unfortunately cant do 12th coz cant get off work, damn work. mondays tuesdays and wednesdays are good 4 me, so anyone keen for the last week of june?